Back November of 2014 work sent me to work in Anson, Texas for the week. During that West Texas business trip, I had the chance to explore Stamford, Texas. 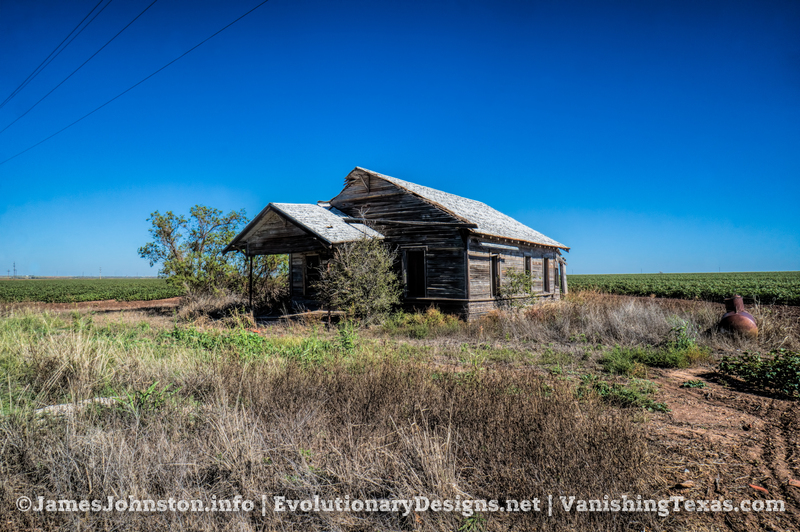 On my way up to Stamford, I came across an abandoned farm house south of Stamford, Texas. 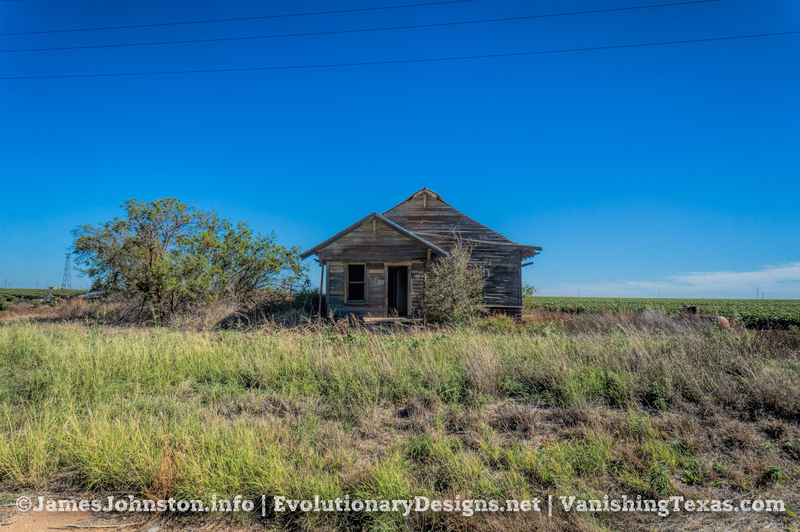 Heading north from Anson, Texas you will find several old farm houses abandoned and few well off the highway if you know where to look. This one was the first one I stopped at on this trip. It’s a very small ranch style house that was probably built sometime in the twenties to early forties. I am not sure of when it was abandoned but it was probably abandoned more than twenty years ago. The house is a total lose. The windows, doors, and anything of value not bolted down (even bolted down), was salvaged. What was left behind, has been ignored for years. The roof has many holes and the addition out back is falling in on itself. As for the interior, it isn’t much better. The floors are rotten and the plaster is cracked and falling off the walls. If anyone knows more about this place, please contact me. I am looking to write a history of the farm and would love some vintage photos of the old place to add to the history. Please contact me via the contact page for leads and information about this old farm house. Note: This article was originally posted on my personal blog on March 14th, 2015 and the pictures were taken in November of 2014. That article will no longer be updated. The article was then updated and posted to VanishingTexas.com on February 26th, 2016. VanishingTexas.com is no longer affiliated with us. All content from that site is slowly being migrated and updated to this site. and has been modified and will continue to be updated as more images are found and information about this old farm house is found.This article will continue to be updated as new information is added. The images were shot by hand in the middle of a bright and sunny afternoon with my Sony Nex-3Nand a Sony SEL16F28 16mm f/2.8. I then edited the images in Adobe Lightroom. Next, I post processed with Topaz Clarity to add texture, brighten, and bring out the details in the images. Then I removed the dust spots. Finally, I used Topaz DeNoise to remove the noise from the images.